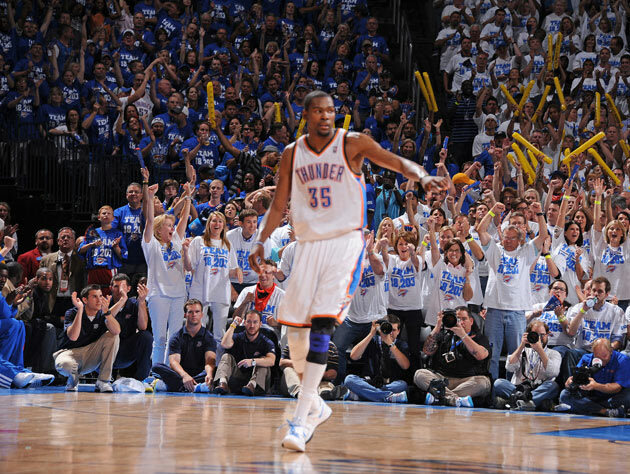 Per the Red Cross, Kevin Durant has given a $1 million donation to the disaster relief fund. It’s also well-worth mentioning that Kevin Durant did not announce this donation. Rather, the Red Cross was the first to point out Durant’s contribution (which was made through his personal charity arm, The Durant Family Foundation), with Kevin letting his donation do the talking. The devastation in Oklahoma was as stunning as it was swift, and any little bit helps. The Red Cross’ localized branch is the best place to go if you want to contribute as Kevin did. Love this! A celebrity giving back major bucks to a good cause…Always refreshing to see. Less of the self promotion & more focus on helping others. Got to love it..